It's full steam ahead for the Amateur Radio Parity Act of 2015, as the House version of the bill, H.R. 1301, now has 112 cosponsors and counting. The House bill and its identical US Senate measure, S. 1685, call on the FCC to amend its regulations to extend the limited PRB-1 federal preemption regarding Amateur Radio antennas to include private land-use restrictions such as deed covenant, conditions, and restrictions (CC&Rs). Homeowners associations would need to apply the minimum practicable restriction to accommodate Amateur Radio communication. ARRL President Kay Craigie, N3KN, said the League is continuing to receive and forward stacks of letters generated at hamfests and conventions and destined for members of the US House and Senate. "All members are encouraged to go ahead and write their own letters to be sent via ARRL Headquarters," President Craigie said. "They don't have to wait for a hamfest or convention. Get the letters done now, before the holidays take over everyone's time and attention. Members' letters are absolutely essential to the success of this legislation. Everything you can do to drum up letters from your local area is an important part of the overall advocacy program. As I've said before, this is a full-team effort, and every member's action makes a difference." ARRL Regulatory Information Manager Dan Henderson, N1ND, said the League has delivered another 3000 member letters urging lawmakers to support the bills to its team in Washington, bringing the total to nearly 14,000. "We have delivered letters to all 100 members of the Senate and 430 of the 441 members and non-voting delegates in the House," Henderson said. And those letters matter. "Our DC team walked into a congresswoman's office a couple of weeks ago with our strong arguments and 30 letters from constituents," he said "She signed on to the bill last week. They do care about what their constituents say is important to them." ARRL Hudson Division Director Mike Lisenco, N2YBB, recently visited more than 3 dozen lawmakers' offices on Capitol Hill. 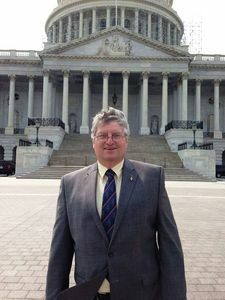 ARRL Hudson Division Director Mike Lisenco, N2YBB, said he and ARRL General Counsel Chris Imlay, W3KD, visited about 40 lawmakers' offices on Capitol Hill during 4 days in October, and he's very confident in how the grassroots campaign is going. "The response we've been getting overall is very positive across the board," Lisenco said. "We feel very good about it." Henderson explained that the next stage would be to schedule the draft legislation for "markup," during which various committee members will have an opportunity to "fine tune" the bill into the form that will be actually considered for a vote. There is still only the original cosponsor on the US Senate bill, but Henderson said the Senate operates a bit differently from the House with respect to cosponsors. Lisenco said he anticipates at least one Senate member to sign on to the bill soon. President Craigie stressed that it's important for members to write their US Senators as well as their US Representatives, to gain support from members of the upper chamber. "Letters have been received by every Senator, but we would like to see offices on that side of the Hill stacked high so high with letters that the workers can scarcely find their desks," President Craigie said. She suggested a "Senate letter-writing party" at the next club meeting. The more than 3000 delegates and observers attending World Radiocommunication Conference 2015 (WRC-15) have gathered in a large conference center adjacent to ITU Headquarters in Geneva for the nearly month-long event. WRC-15 officially got under way on November 2. It will close on November 27. Chairing the conference is Festus Daudu of Nigeria, the first African elected to chair a WRC. An Amateur Radio contact on November 3 between students at the ITU Headquarters club station and two crew members of the International Space Station helped to kick off WRC-15. ITU Amateur Radio club station 4U1ITU is using the call sign 4U1WRC for the duration of the conference. Students from Institut Florimont spoke with astronauts Kjell Lindgren, KO5MOS, and Kimiya Yui, KG5BPH, who were using the Amateur Radio station in the ISS Columbus module, OR4ISS. Delegations at WRC-15 are considering several issues of importance to the Amateur and Amateur Satellite services. International Amateur Radio Union (IARU) President Tim Ellam, VE6SH/G4HUA, and Vice President Ole Garpestad, LA2RR, are heading the organization's team. The ITU has acknowledged its close cooperation with the IARU, which was founded in Paris in 1925, and it recognizes that IARU speaks for the Amateur Radio community. Other radio amateurs are parts of national delegations or in observer roles. ARRL Chief Technology Officer Brennan Price, N4QX, and ARRL Technical Relations Specialist Jon Siverling, WB3ERA, are part of the US delegation to WRC-15. Of prime Amateur Radio interest is Agenda Item 1.4, which calls for allocating an appropriate amount of spectrum to the Amateur Service on a secondary basis within the band 5250-5450 kHz. The IARU has called the new band as "a high priority for the Amateur Service" but is not overly confident of getting the new secondary allocation. Ellam said the IARU team will put forth its best effort toward gaining a possible allocation near 5 MHz and will follow other developments that may impinge on the Amateur and Amateur Satellite services. Deliberations on agenda item 1.4 are taking place in a sub-working group chaired by Dale Hughes, VK1DSH, of Australia. While more administrations than not have expressed support for some sort of allocation, the methods proposed vary greatly, the opposition to any allocation is spirited, and a number of uncommitted administrations could still sway the prevailing consensus. Last week's Radiocommunication Assembly at ITU Headquarters approved a new resolution calling on the ITU Radiocommunication Sector (ITU-R) to develop appropriate educational materials on the regulatory aspects of small satellites. A student asks her question of the ISS crew during an ARISS contact between 4U1WRC at ITU Headquarters in Geneva and OR4ISS on the space station. On the left is Attila Matas, OM1AM, the 4U1ITU station manager, and on the right is Nick Sinanis, SV3SJ, the 4U1ITU station engineer. The IARU will host a November 10 display of an emergency communications mobile unit. It will be available for viewing November 8-14, with IARU International Coordinator for Emergency Communications, Hans Zimmermann, HB9AQS, attending. The trailer-mounted display will have equipment showing the voice, text and image mode capabilities for emergency communications, plus a mobile antenna. Emergency Radio Germany supplied the mobile unit for the exhibit. The 10th Annual ARRL On-Line Auction went off without a hitch October 22-27. In addition to hundreds of browsers, the auction saw 284 individual bidders vying for product review equipment, vintage books, one-of-a-kind finds, and even "mystery junque boxes" from the ARRL Lab. ARRL Sales Manager Deb Jahnke, K1DAJ, said 1383 bids were recorded. "A number of items dramatically finished in overtime bidding," she said. "After all was tallied, this year's auction grossed more than $41,000." This copy of the vintage Henley's Workable Radio Receivers from 1924 went for $625. by an ACOM 600S 160-6 meter linear amplifier at $2649; an Apache Labs ANAN-100D SDR HF/6 meter transceiver at $2500, and a FlexRadio Systems Flex-6300 transceiver at $2310. "But our vintage books category was not to be left behind," Jahnke said. "We had a substantial number of titles from ARRL and also many contributed by anonymous donors. 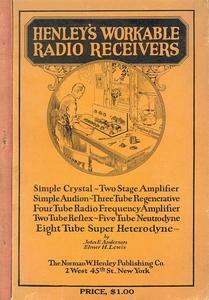 Picking up the top-dollar bid in this category was a copy of Henley's Workable Radio Receivers from 1924. It garnered $625. A copy of Modern Radio Operation by J.O. Smith, published in 1922, brought $410. "As always, we would like to express our appreciation to the donors who provided such a diverse mix of items, and we look forward to our 11th auction in 2016," Jahnke said. To apply submit a cover letter and resume via e-mail to Monique Levesque at ARRL Headquarters. The Super Strypi launch from Kauai on November 4. The IEEE's Microwave Theory and Techniques Society (MTT-S) will take advantage of its flagship conference, being held this year in India, to demonstrate Amateur Radio and its role in disaster communication, and to motivate students there to pursue careers in science, technology, engineering, and mathematical (STEM) fields. The IEEE-sponsored International Microwave and RF Conference (IMaRC) in Hyderabad, India, will focus on RF and offer considerable exposure to Amateur Radio. Hams at IMaRC also will mount a special event station leading up to and continuing through the conference. MTT-S member Jim Rautio, AJ3K, says the IEEE in general and the MTT Society in particular have taken an active role in the Special Interest Group on Humanitarian Technology (SIGHT), with an emphasis on Amateur Radio as a motivating tool. SIGHT aims to motivate high school students, young engineers, and professionals to apply low-cost, innovative microwave technology to address disaster readiness and humanitarian need. "Back when I was in college, getting a job was the big motivator," Rautio -- a software entrepreneur (Sonnet Software) -- told ARRL. "That is still important, but from what I have seen, other things, especially like doing good for humanity, are now as big or even bigger motivators. And the side-effect is that a strong STEM base is absolutely needed for any society to develop a strong economy and a strong middle class." Given the opportunity the December 10-12 conference provides, the MTT-S has decided to concentrate on India for much of its efforts, Rautio said. "Most of the conference is intended for RF and microwave professionals," he said, "but a portion of the conference is dedicated to SIGHT." 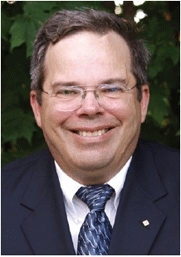 Jim Rautio, AJ3K, serves on the MTT-S Administrative Committee and chairs its Image and Visibility Committee. SIGHT will sponsor a 2 hour Amateur Radio conference session, attended by area university students, to promote interest in ham radio in general and in disaster communication in particular. Chairing the session will be G.L. Rao, VU2GL, of the Engineering Staff College of India. Rautio said he will work in collaboration with some US colleagues to help "get the ball rolling." "The National Institute of Amateur Radio (NIAR) and Bharathi Prasad, VU2RBI, have taken the lead, and things are proceeding well." Prasad was the leader of the 2004 Andamans Island DXpedition that quickly turned into a disaster response after a disastrous Indian Ocean tsunami. Special event station AU2MTT will be operating for 2 weeks in conjunction with the conference. "The special event is intended to draw attention to ham radio, STEM, and MTT, both from conference participants and any and all active hams in India," Rautio said. Students also can take part in various competitions during the conference. MTT-S is a technical society comprised of more than 11,000 members worldwide. Its core purpose is to foster the advancement and application of RF and microwave theory and techniques. 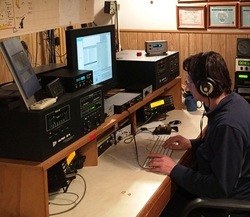 When a team from The Intrepid DX Group embarks on its South Sandwich/South Georgia VP8SGI/VP8STI DXpedition in January, it will incorporate a youth and community participation aspect into the adventure, as it has done since the 1990s. During the South Sandwich/South Georgia Island DXpedition, the team's honorary school will be one it's worked with since 2011 -- Dorothy Grant Elementary School in Fontana, California. VP8SGI/VP8STI team co-leader Paul Ewing, N6PSE, said the 4th grade class of Bev Matheson, WA6BK, has prepared a school flag that will travel to the islands and back to the US. "In addition, the students have prepared a small weather-tracking experiment for the DXpedition to participate," Ewing said. "We hope to continue to ignite the interest of these students in Amateur Radio." Matheson, an elementary school teacher since 1997, was licensed in 2011, inspired by her participation in the W3AO Field Day outing in Maryland earlier that year. She has also attended an ARRL Teachers Institute session. Dorothy Grant Elementary has an Amateur Radio club, K6DGE, with nearly 40 after-school participants, and the students have been active working DX as well as domestic contests. VP8 DXpedition co-leader David Collingham, K3LP, is the K6DGE club license trustee and an alumnus of the school. 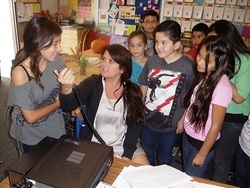 Dorothy Grant Elementary School teacher Bev Matheson, WA6BK (center), demonstrates Amateur Radio to some of her students in this 2013 photo. Ewing has said the team will depart the Falkland Islands on January 9, arriving on South Georgia about 5 days later, where it will take part in a safety and biodiversity briefing with government officials. The DXpeditioners then will sail another 3 days to Southern Thule Island in the South Sandwich Islands, arriving on January 17, weather and sea conditions permitting. The team will spend 10 days on South Sandwich, operating as VP8STI before sailing to South Georgia Island to start operations as VP8SGI about February 1. "Our main priority is to make a great impact to the need for South Sandwich contacts, and we will sacrifice our time at South Georgia to ensure that we make that impact from South Sandwich," Ewing said. The 17th annual SKYWARN Recognition Day (SRD) on-the-air event is set for Saturday, December 5, from 0000 UTC to 2400 UTC. Cosponsored by ARRL and the National Weather Service, SKYWARN Recognition Day pays tribute to Amateur Radio operators for the vital public service they perform. Registration is now open for stations planning to participate from a National Weather Service (NW) Forecast Office; a list of NWS participating offices is on the NWS SKYWARN Recognition Day web page. During the 24 hour event, Amateur Radio operators set up at NWS offices contact other hams across the country. This event is also aimed at strengthening the bond between Amateur Radio operators and local NWS offices. SKYWARN Recognition Day is not a contest. During SKYWARN Recognition Day amateur stations exchange contact information with as many National Weather Service-based stations as possible on SSB, FM, CW, RTTY, and AM on 80, 40, 20, 15, 10, 6, and 2 meter bands plus 70 centimeters. Repeater contacts are permitted. Stations exchange call signs, signal reports, location, and a one or two-word description of the weather (eg, sunny, partly cloudy, windy, rainy). Procedures are detailed on the NOAA SRD web page. The volunteer SKYWARN program comprises nearly 290,000 trained severe weather spotters -- many of them radio amateurs -- who identify severe storms and provide NWS forecasters with reports of local weather conditions during severe weather events. To learn more, visit the SKYWARN Recognition Day website. ARRL November Sweepstakes CW and phone are just ahead, and the ARRL 10 Meter Contest isn't far behind. All are ideal opportunities to gain or hone Amateur Radio operating skills that can be put to use during an emergency response or a public service event. In short, contesting isn't just for contesters anymore, and you don't have to wait for Field Day to get -- or stay -- up to speed. "Operating skill is not something that can be tested on a license exam or learned from a book," said ARRL Contributing Editor Ward Silver, N0AX, an active contester as well as a member of his local ARES team. "Emergency managers know that practice -- lots of it -- is required for operators to be sharp when they are really needed." Silver pointed to an article on the topic by ARRL Southwestern Division Vice Director Marty Woll, N6VI, that appeared recently on the Southern California Contest Club (SCCC) website. "[C]ontesting helps prepare us for demanding communication tasks, such as might be encountered during a major disaster," Woll said in his article. "You don't have to be in it to win it; just take part, and have fun while you're learning to enhance your and your station's performance." Silver says that repetitive emergency drills are fine but can get old. Contesting offers an enjoyable way to give your equipment a good shakedown and build on-the-air knowhow. "Just as sports keep you physically fit, 'radiosport' -- or contesting -- can serve as a training ground while having fun at the same time," he said. Silver points out that a huge, multi-tower station isn't necessary to participate. Even a low dipole will let you work lots of stations -- and in SS, all of the stations are in the US. Sweepstakes (SS) was conceived as a traffic-handling event that uses traffic-handling terms. Participants share their "precedence" (operating category) and "check" (the last two digits of the operator's year of license) as part of the exchange. Local events are another option. "You can start simple with any of a number of regional FM simplex contests that encourage the use of mobile and handheld FM radios for an afternoon or evening," Silver suggests. "This is a great way to learn about squelch management, copying weak signals, using phonetics, and the effectiveness of good locations and antennas." "If you have enough interest, divide your group into two or three-person teams that operate in shifts with an experienced operator to mentor," Silver said. "Better yet, put the teams at different stations and let them go head-to-head in a short challenge. No one says you have to operate the entire contest, either. Pick times that work -- maybe about as long as your regular drills -- and get together afterward for a little socializing over pizza." 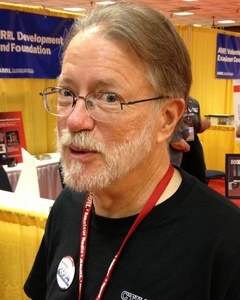 Ward Silver, N0AX, is an enthusiastic contester and an ARRL contributing editor. Silver said a contesting Elmer can help those new to contesting with scripts that guide the newbies through a QSO as well as some instruction on how to take best advantage of your equipment. Start each team of operators with a period of listening. "Once your team gets up to speed," Silver said, "emphasize the reasons why we have contests in the first place: To reinforce accurate, effective operating practices. Place a special emphasis on copying call signs and exchanges 100 percent correctly." ARRL Seeking Contest Branch Manager: The ARRL is accepting applications for the position of Contest Branch Manager at League Headquarters in Newington, Connecticut. This is a full-time position, and salary is commensurate with experience. This individual is responsible for all aspects of the ARRL's Contest program, including the receipt and processing of contest entries, quality of results, awards fulfillment, public outreach, program development, and volunteer coordination and management. Among primary duties, the Contest Branch Manager ensures the accurate reporting of ARRL contest results while meeting web and print publishing deadlines. The Contest Branch Manager will oversee a team of approximately 20 volunteer log adjudicators, results authors, and data entry assistants, inside and outside of ARRL Headquarters. An undergraduate degree is preferred. The successful candidate will have at least 5 years as an active Amateur Radio contester, and be highly proficient in Microsoft Office applications. Full details are on the ARRL Employment Opportunities page. Submit an application, resume, and cover letter via e-mail to Monique Levesque at ARRL Headquarters. It's "K" for Kernow Starting in 2016: UK telecoms regulator Ofcom has announced that starting in 2016, radio amateurs in Cornwall will be able to use the Regional Secondary Locator (RSL) of K (for "Kernow," the Cornish word for Cornwall) to identify their location. This is similar to the use of "M" by stations in Scotland, "W" by stations in Wales, and "I" by stations in Northern Ireland. The prefixes GK, MK, and 2K during 2016 will indicate a station operating from Cornwall and the Isles of Scilly. Representatives of Radio Amateurs in Cornwall approached Ofcom to request temporary use of the K locator following recognition of the Cornish people under the Framework Convention on National Minorities. Ofcom agreed to the request and will permit hams having a main station address in Cornwall to incorporate the letter K into their call sign prefix through 2016. It will be available for all classes of Amateur Radio licensees, including stations participating in contests. Licensees must apply for a Notice of Variation (NoV) to use the K locator via the RSGB website starting in December. Variations will all expire on December 31, 2016. The RSL may therefore not be used beyond these dates. FOC Presents Awards: The First Class CW Operators Club (FOC) presented its Al Slater, G3FXB, Memorial Award on October 31 to Bob Allphin, K4UEE, as "a superb practitioner of the art of Morse Code and an enormously influential and proactive member of world-renowned Amateur Radio organizations," and for "amazing feats leading major DXpeditions to many of the rarest and most inhospitable locations on the Earth." A second Al Slater, G3FXB, Award went to the CW Academy, citing its 600 graduates to date. The FOC's "Unsung Hero Award" this year went to Puck Motley, W4PM, for administering the Windle Memorial Award for many years. He received an engraved Begali paddle. Tad Cook, K7RA, Seattle, reports: Solar activity increased over last week, with the average daily sunspot number rising from 77.6 to 90.3, and average daily solar flux from 110.9 to 118.3. A high speed solar wind caused aurora on November 3-4 and the high planetary A index of 32 and 33 on those days. Predicted planetary A index is 18, 12, and 8 on November 5-7; 18 on November 8-10; 8 on November 11-12; then 12, 20, 5, 8, and 12 on November 13-17; 5 on November 18-21; 10, 5, 8, and 12 on November 22-25, and 10 on November 26-27. Planetary A index then jumps to 50 and 40 on November 30 and December 1, when the same region causing aurora the past few days rotates back into view. Predicted solar flux is 115 on November 5; 110 on November 6-9; 105 on November 10; 100 on November 11-12; 105 and 110 on November 13-14; 115 on November 15-16; then 120, 115, and 110 on November 17-19, and 105 on November 20-24. Flux values dip below 100 on November 27 through December 8, reaching a low of 85 on November 30 through December 5. Sunspot numbers for October 29 through November 4 were 101, 88, 73, 88, 94, 95, and 93, with a mean of 90.3. The 10.7 cm flux was 112.9, 112.1, 118.5, 124.3, 122, 124.2, and 113.8, with a mean of 118.3. Estimated planetary A indices were 5, 9, 6, 11, 7, 32, and 33, with a mean of 14.7. Estimated mid-latitude A indices were 4, 6, 6, 9, 5, 23, and 31, with a mean of 12. In the Friday bulletin look for an updated forecast, reports from readers, a look ahead to this weekend's ARRL November Sweepstakes CW, plus a look at our moving averages of daily sunspot numbers.